I want you. I can’t lie about this. solid with only one direction. 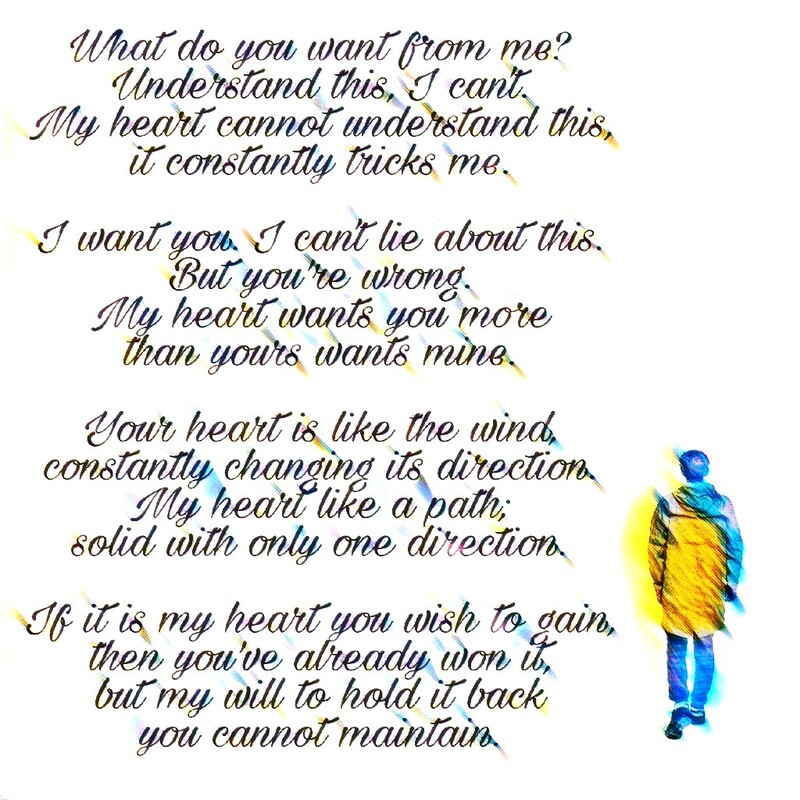 Posted in PoetryTagged art, broken heart, creative, creativity, heart, love, poem, poemoftheday, poems, PoetryBookmark the permalink.